Emmerson Mnangagwa: Should Zimbabwe celebrate if 'The Crocodile' replaces Mugabe? Mnangagwa thought to be back in Zimbabwe after army temporarily took over to target "criminals around Mugabe". Emmerson Mnangagwa has long been a major political figure in Zimbabwe, where he fought for liberation prior to 1980's independence and subsequently became a close political ally of President Robert Mugabe. That was until last week, when Mugabe fired him as vice president after accusing him of plotting to overthrow the regime. Mnangagwa, who fled to South Africa following his dismissal, is now being Googled all across the world. He could soon take the helm of Zimbabwe, following what has been described as a "bloodless correction of power" at the hands of the military. Mnangagwa's dismissal angered the military, which, in an unprecedented move, threatened it would intervene to stop Mugabe's alleged purge of officials that had "plunged the country into crisis". Mnangagwa has strong support from within the armed forces. "He was part of the liberation movement and fought alongside most of the current army top generals," security analyst David Otto told IBTimes UK. "As one of the key leaders of the war veterans association and the number two to succeed Mugabe, his dismissal was taken as a blow to the army". Mnangagwa's whereabouts are not clear. IBTimes UK sources suggested he was back in the country on 15 November, after the army seized state broadcaster ZBC and announced it was targeting "criminals around [Mugabe] who are committing crimes that are causing social and economic suffering in the country, in order to bring them to justice". Some analysts believe that Mugabe – thought to be confined to his residence in the capital Harare – will publicly announce a transfer of power to Mnangagwa as early as the end of the week, after the latter is reinstated as vice president. The Guardian quoted an unnamed opposition leader as saying Mugabe would resign this week and be replaced by Mnangagwa, with opposition leaders taking posts as vice president and prime minister. 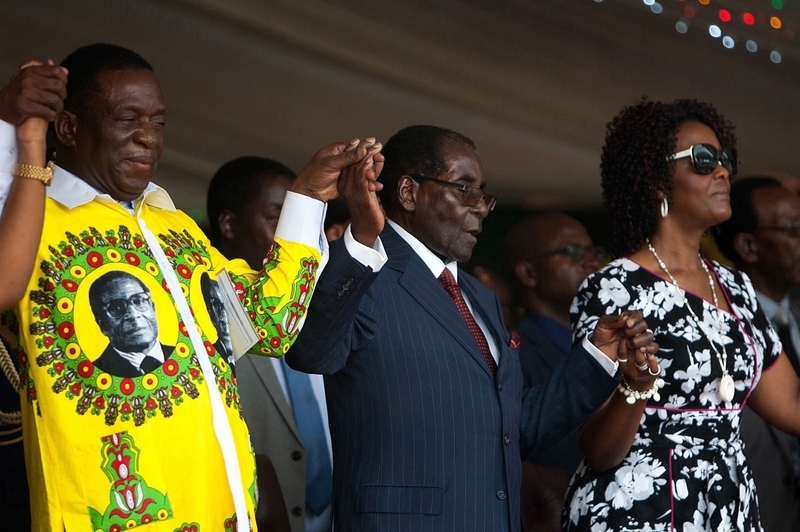 "Mnangagwa has served effectively next to Mugabe since the 70s and was in place in all of the Zimbabwean independent governments, starting out with state security and eventually having roles covering the judiciary," Nick Branson, Senior Researcher at London-based Africa Research Institute, told IBTimes UK. "He really has been an essential part of the government." 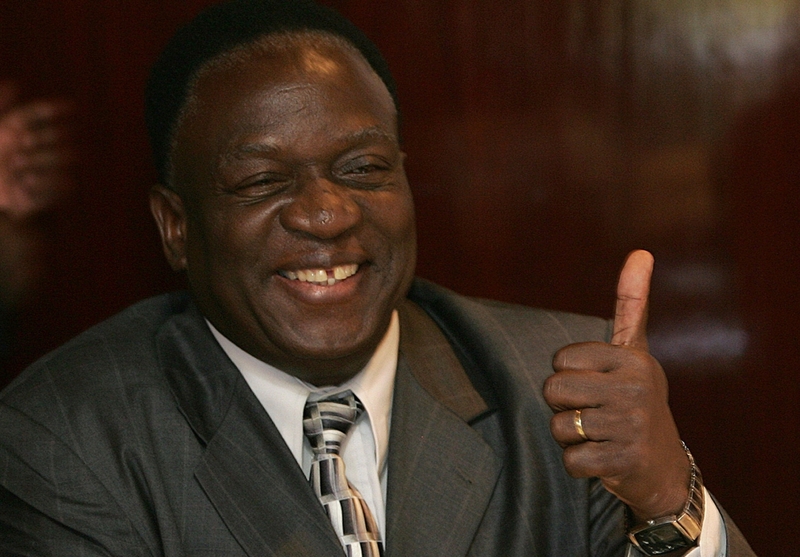 Should Zimbabwe celebrate if Mnangagwa becomes the new president? Although Mugabe's removal could be a relief for the southern African country, marred by hunger, dire economic hardship and rife corruption allegations within the government, Mnangagwa is not known for his kindness. Mnangagwa – known in the country as "ngwena", Shona for "crocodile" – has been described as a man ruthless as Mugabe, who was consistently criticised for his merciless rule and poor record of human rights. Mnangagwa, a close ally of Mugabe for 40 years, was allegedly involved in the 1980s Gukurahundi massacres, when between 10,000 and 20,000 people were said to have been killed by Mugabe's Fifth Brigade soldiers. Mnangagwa has always denied any involvement. "Mnangagwa was national security minister during the Gukurahundi, so [he] cannot plausibly deny ignorance of the atrocities committed during that period. He has been responsible for the intelligence, defence, and justice ministries in recent years," Branson said. "Mnangagwa combines the instincts of a soldier with the attention to detail of a lawyer. He first undertook military training with ZAPU in Tanzania, and subsequently joined ZANU, soon after it was founded, in 1964." On his return to Zimbabwe – then called Rhodesia – he led a group of fighters known as "The Crocodile Gang". He was eventually caught and sentenced to death after being accused of treason. "He was spared the death penalty on account of his young age. He then trained as a lawyer by correspondence, qualifying in Zambia, but then joined Mugabe in Mozambique, working as his special adviser from 1976 onwards," Branson continued. On Wednesday, Labour MP Kate Hoey asked UK Foreign Secretary Boris Johnson whether he would support the elevation to the presidency of Mnangagwa, who she said is "probably the one person in Zimbabwe who inspires even greater terror" than the current leader. This view is shared by some analysts, who argue Mnangagwa has only the army's interests at heart, having been one of them for a long time. "He is a war veteran and a military commander by training. He is one of 'them,'" Jeffrey Smith, analyst and executive director of Vanguard Africa, told IBTimes UK. "Mnangagwa is a ruthless military operator and a foundational architect of the repressive political system in Zimbabwe, one in which civil society, the media and the political opposition have been, to varying extents, systematically crushed," he continued. "He is not a reformer, and thus, the celebratory atmosphere surrounding his potential rise to power should come with serious caution and major red flags."